In-house agency executives, creative decision makers and purchase influencers comprise some of the most difficult audiences to identify and subsequently reach. IHAF serves nearly 5,000 in-house agency professionals who are looking for products and services that can enable them to deliver unmatched value to the businesses they support. As such, IHAF offers a variety of sponsorships that can open doors to a host of networking and selling opportunities for your company. We provide traditional and custom sponsorship packages, based on your company's goals. For questions about event sponsorships, online advertising or to build a custom program, please call 617.587.3900 or click on the sponsor form below. 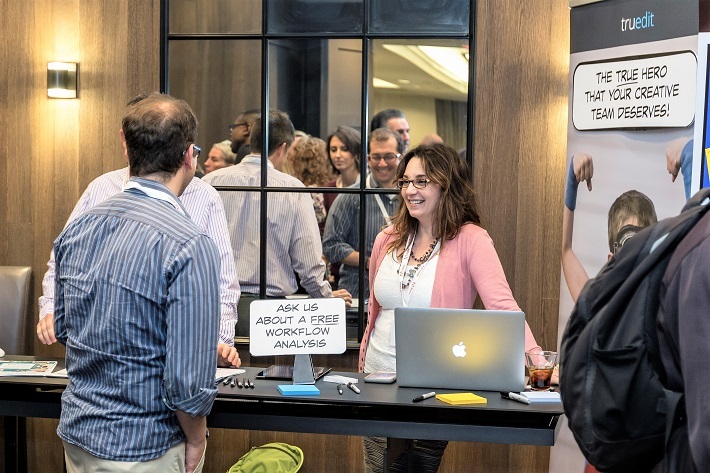 Attracting in-house agencies from across the country, our annual conference is our biggest event of the year. 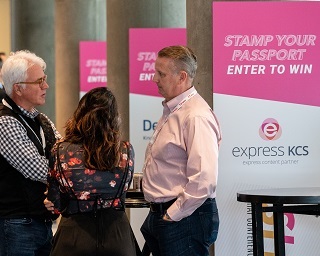 Themes range from leadership and client satisfaction to stimulating creativity and brand management—featuring keynote presentations, breakout sessions, and ample opportunities for networking. Our conference attracts a cross-section of IHAF members and non-members. IHAF’s most spirited event of the year, our annual awards show recognizes creative excellence from in-house agencies and creative services organizations across a host of print and digital categories including advertising, direct mail, corporate identity, point-of-purchase, collateral and more—providing much-deserved recognition to in-house teams. Our call for entries occurs in the spring with winners announced at the IHAF Conference & Awards in the fall. Our discussion group series offers in-house professionals the opportunity to discuss and debate various topics of interest. These dynamic three-hour sessions are held each spring, at member facilities across the country. With 15-50 attendees at each roundtable, participants come together to share their challenges, best practices, and learn from one another. From the comfort of their desktops, IHAF members take full advantage of our online seminar series, with instructional content and insight to increase individual and team effectiveness. These one-hour sessions are offered at no cost to members and deliver practical strategies that can be implemented, in many cases, immediately. Banner ad for inclusion in the IHAF Brief—a daily digest of industry news that goes out to over 4,000 IHAF members. Opportunity to rotate up to six ads per year; each ad runs one week per month throughout the year. Our Upcoming Events email goes out twice a month to over 6,000 business professionals within the in-house agency community, both IHAF members and non-members. Sponsorship listing with link to company website appears in twice-monthly emails throughout the year. Banner ads on primary and secondary pages (excludes homepage) of www.ihaforum.org. Opportunity to rotate up to six ads per year; ad remains active on our site for 12 months. Sponsor our next annual conference or discussion group series—or both! Promote your business to a national audience while networking with in-house agency executives, decision makers and purchase influencers. Want to advertise with IHAF online? Take a look at the menu options described at left and then complete our sponsor form—we'll be in touch. Or you can contact us directly at 617.587.3900.